It’s day 2 in our series on staying low carb while getting back into your fall routine. If you missed it, check out the previous post: Day 1 – Let’s Talk Breakfast. If you’re a snacker, don’t worry. 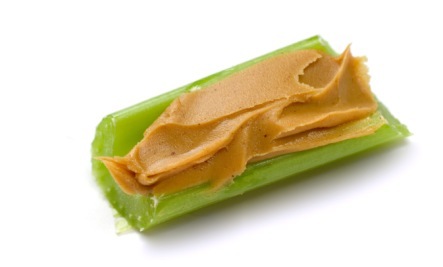 We’ve compiled a list of low carb snacks to keep you snacking healthy all day long! 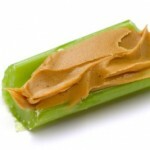 Celery Sticks and No Sugar Added or Fresh Ground Peanut Butter. Don’t like the stringiness of celery? Run a vegetable peeler over the back of your celery sticks to remove some of the strings. Trail Mix. Always make your own trail mix to keep it low carb and avoid dried fruits that are loaded with sugar. Choose a variety of nuts, add some unsweetened coconut, and some sugar free chocolate. Or try our variety of snack packs. We also offer delicious, sugar free dark chocolate chips, perfect for adding to your own trail mix! LC Foods New Dark Chocolate Covered Nuts, Seeds, and Berries. We use Erythritol sweetened, high quality dark chocolate to cover Almonds, Hazelnuts, Peanuts, Pecans, Pepitas, Barberries, and Raspberries. They come in a convenient snack size pack. If you are a chocolate lover, these new snack packs are sure to become your favorite! They are sure to satisfy your low carb sweet tooth! Cheese and Crackers. Yes, you can have cheese and crackers! Try LC Foods fresh baked crackers- Cracker Thins, Chia Crackers, or Cheezy Crackers with your favorite cheese. Remember hard cheeses are lower in carbs than soft cheeses. Veggies and Hummus. Check the label to make sure your favorite hummus doesn’t have any added sugar. Veggie options are endless: pepper strips, carrot sticks, broccoli florets, cauliflower, snap peas, etc. Low Carb Fruits. Print this list and keep it in your pantry or at your desk for reference. What are some of your favorite quick and easy low carb snacks? Let us know on our Facebook page! Check back with us tomorrow for more low carb tips to keep you on track during the fall season!